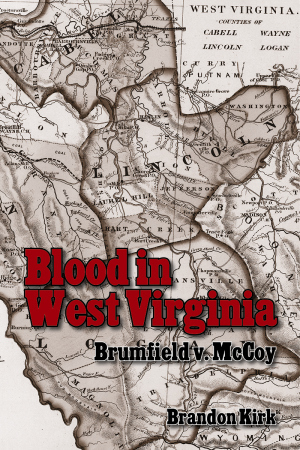 This riveting account is the first comprehensive examination of the Lincoln County feud, a quarrel so virulent it rivaled that of the infamous Hatfields and McCoys. The conflict began over personal grievances between Paris Brumfield, a local distiller and timber man, and Cain Adkins, a preacher, teacher, doctor, and justice of the peace. The dispute quickly overtook the small Appalachian community of Hart, West Virginia, leaving at least four dead and igniting a decade-long vendetta. Based on local and national newspaper articles and oral histories provided by descendants of the feudists, this powerful narrative features larger-than-life characters locked in deadly conflict. The Lincoln County feud was one of the most sensational events that occurred in the southern Appalachian Mountains prior to 1900. In the book’s four sections, historian Brandon Kirk profiles pivotal characters, bringing these mountaineers to life and presenting each individual’s perspective on the feud. A descendant of the original feudists, Kirk has a unique insight into the blood battle that transpired in his own hometown. With more than twenty photographs, this well-researched book thoroughly documents the saga of a county—and its residents—in turmoil. Brandon Kirk is an assistant professor of American history at Southern West Virginia Community and Technical College. A renowned scholar and the author of more than fifty articles about Appalachian feuds and Southern violence, Kirk served as a contributor to the PBS miniseries West Virginia and acted as a consultant to the History Channel’s miniseries Hatfields and McCoys. Kirk resides in his ancestral hometown, now called Harts, West Virginia. First comprehensive examination of the Lincoln County feud! Kirk uses stories from family members along with historical documents and newspaper accounts to bring the story to life...Kirk is a passionate historian and has a vast collection of oral histories, photographs and other items from the Guyandotte Valley.